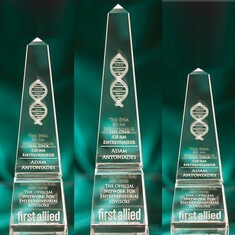 The 12" Crystal Obelisk Award is clear and is made of optic crystal. The POB212 measures 2 3/4"W x 12"H x 2 3/4"D, weighs 4.5 pounds and is presented in a custom gift box. 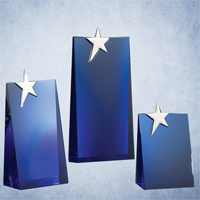 The imprint area is 2 1/2"W x 11 7/8"H.
The 12" Crystal Prestige Award is clear and is made of optic crystal. The PCP212 measures 2 3/4"W x 12"H x 2 3/4"D, weighs 6.75 pounds and is presented in a custom gift box. 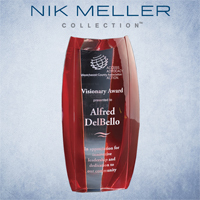 The imprint area is 2 1/2"W x 11 7/8"H.
The 3 1/2" Arched Tower Award is clear and is made of optic crystal. The PDT23 measures 2"W x 3 1/2"H x 2"D, weighs 1.5 pounds and is presented in a custom gift box. 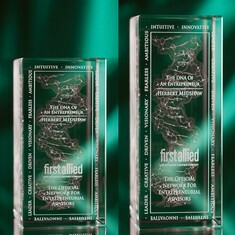 The imprint area is 1 7/8"W x 3 1/4"H.
The 4 3/8" Arched Tower Award is clear and is made of optic crystal. The PDT24 measures 2 3/8"W x 4 3/8"H x 2 3/8"D, weighs 2.5 pounds and is presented in a custom gift box. 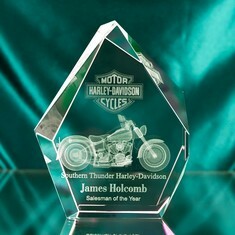 The imprint area is 2 1/4"W x 4 1/4"H.
The 5" Arched Tower Award is clear and is made of optic crystal. 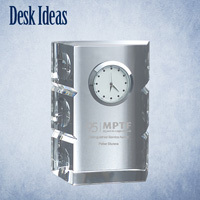 The PDT25 measures 2 3/4"W x 5 1/8"H x 2 3/4"D, weighs 4 pounds and is presented in a custom gift box. 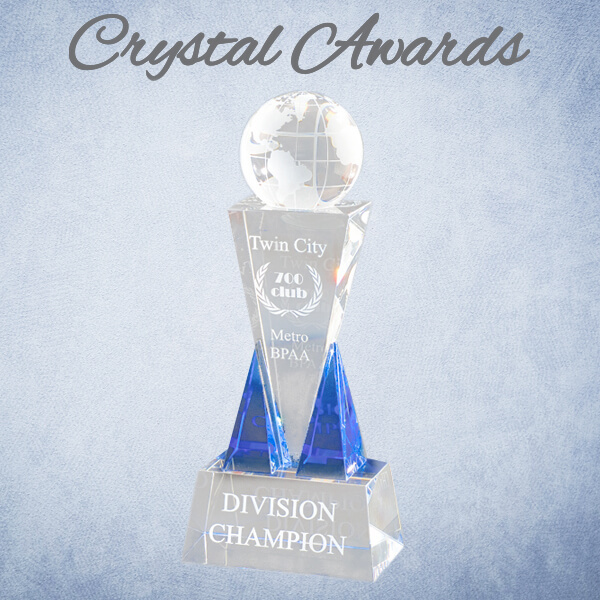 The imprint area is 2 3/2"W x 5"H.
The 5" Crystal Summit Award is clear and is made of optic crystal. 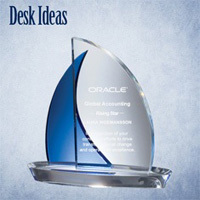 The PCS45 measures 4"W x 5"H x 2 3/8"D, weighs 3.5 pounds and is presented in a custom gift box. 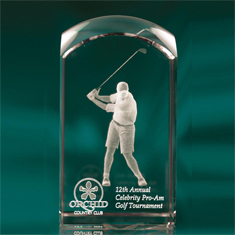 The imprint area is 4"W x 5"H.
The 6" Crystal Tower Award is clear and is made of optic crystal. 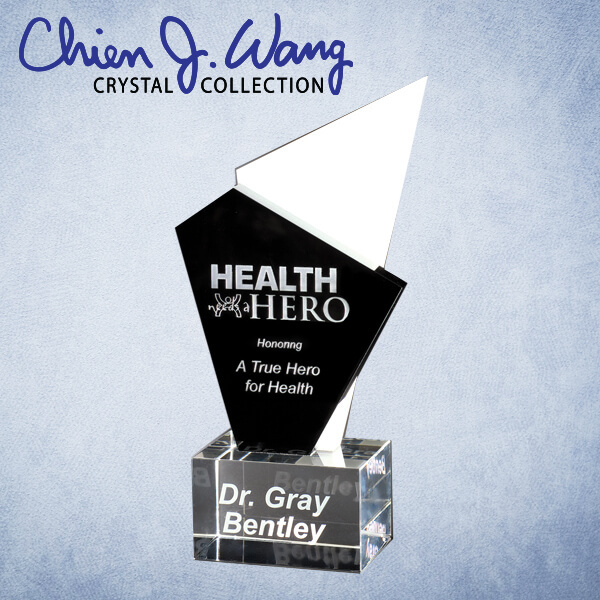 The PCT36 measures 3"W x 6"H x 3"D, weighs 5.5 pounds and is presented in a custom gift box. 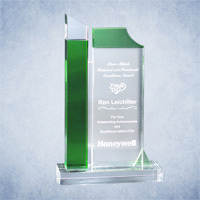 The imprint area is 2 7/8"W x 5 7/8"H.
The 7" Arched Tower Award is clear and is made of optic crystal. 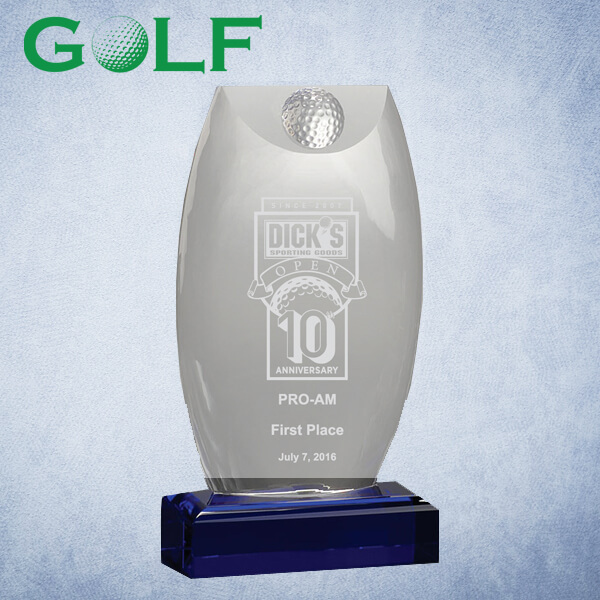 The PDT37 measures 2 7/8"W x 7 1/8"H x 2 7/8"D, weighs 5.5 pounds and is presented in a custom gift box. 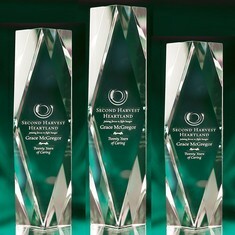 The imprint area is 2 3/4"W x 7"H.
The 7" Crystal Summit Award is clear and is made of optic crystal. 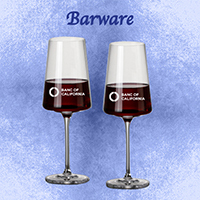 The PCS57 measures 5"W x 7"H x 2 3/8"D, weighs 5.75 pounds and is presented in a custom gift box. 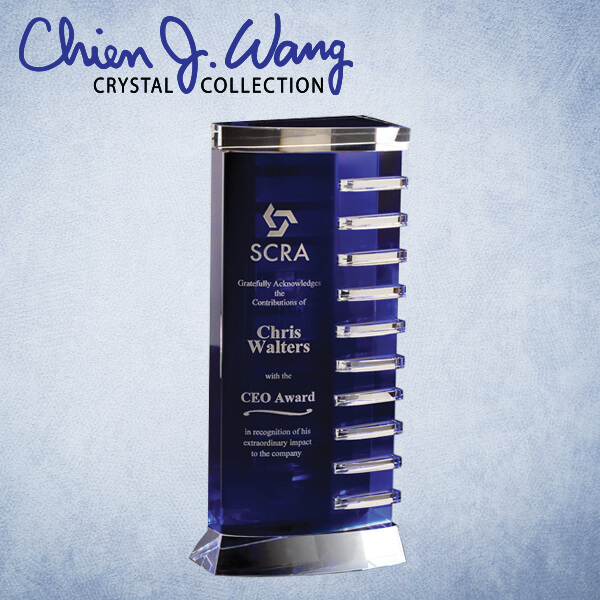 The imprint area is 4 7/8"W x 6 7/8"H.
The 8" Crystal Obelisk Award is clear and is made of optic crystal. The POB28 measures 2 1/2"W x 8"H x 2 1/2"D, weighs 2.75 pounds and is presented in a custom gift box. 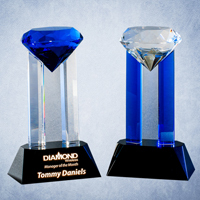 The imprint area is 2 1/4"W x 7 7/8"H.
The 8" Crystal Prestige Award is clear and is made of optic crystal. The PCP28 measures 2 1/2"W x 8"H x 2 1/2"D, weighs 4.5 pounds and is presented in a custom gift box. 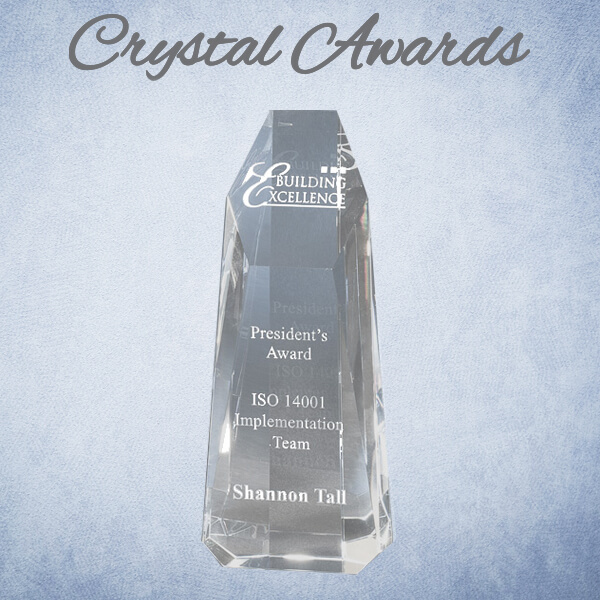 The imprint area is 2 1/4"W x 7 7/8"H.
The 9" Crystal Summit Award is clear and is made of optic crystal. 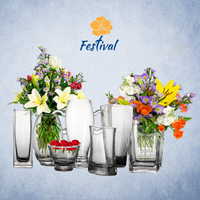 The PCS79 measures 7"W x 9"H x 3 1/8"D, weighs 13.25 pounds and is presented in a custom gift box. 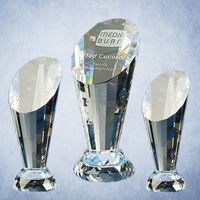 The imprint area is 6 7/8"W x 8 7/8"H.
The 9" Crystal Tower Award is clear and is made of optic crystal. 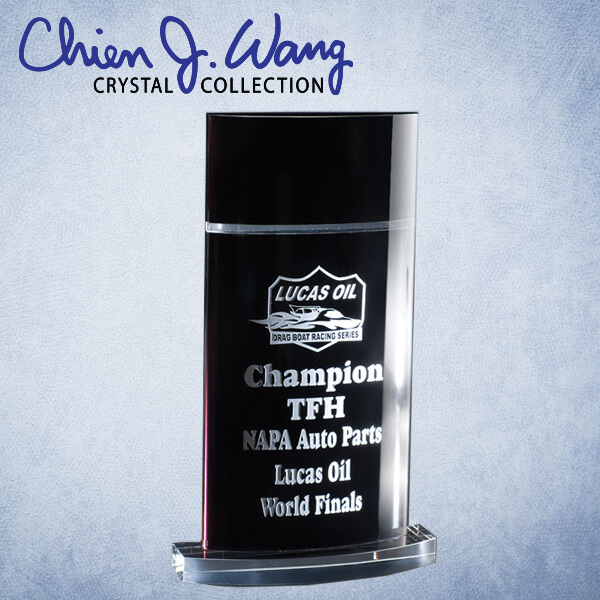 The PCT39 measures 3"W x 9"H x 3"D, weighs 7.75 pounds and is presented in a custom gift box. 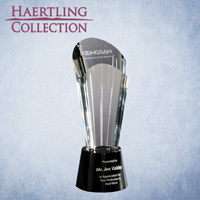 The imprint area is 2 7/8"W x 8 7/8"H.
The Large Crystal Book Award is clear and is made of optic crystal. 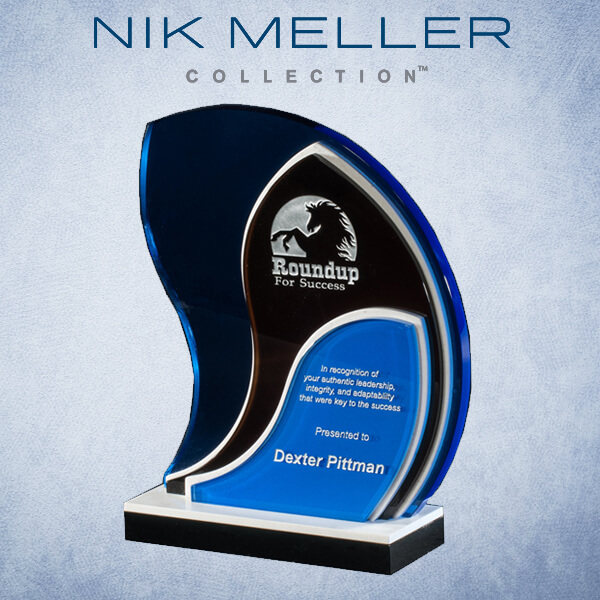 The PBK68 measures 6"W x 8"H x 2"D, weighs 9.25 pounds and is presented in a custom gift box. 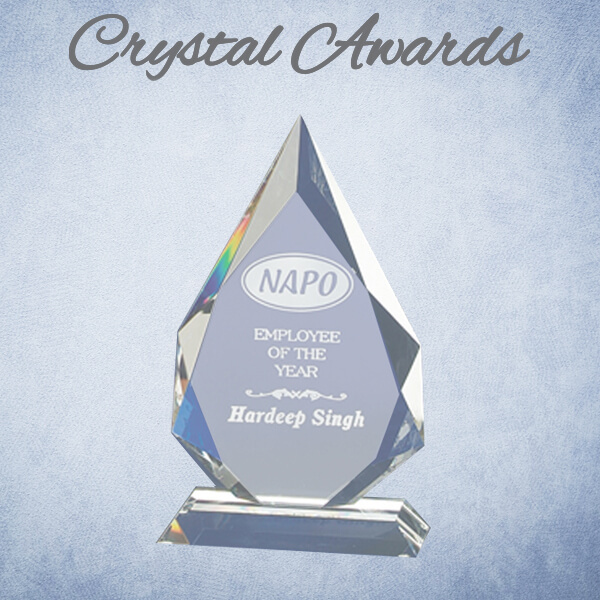 The imprint area is 5 7/8"H x 7 7/8"H.
The Large Rectangle Crystal Block Award is clear and is made of optic crystal. The PCB68 measures 6"W x 8"H x 2"D, weighs 11.5 pounds and is presented in a custom gift box. 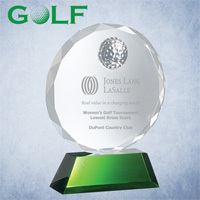 The imprint area is 5 7/8"W x 7 7/8"H x 1 7/8"D.
The Large Square Crystal Block Award is clear and is made of optic crystal. The PCB88 measures 8"W x 8"H x 3 1/8"D, weighs 19 pounds and is presented in a custom gift box. 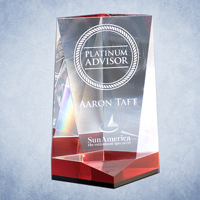 The imprint area is 7 7/8"W x 7 7/8"H x 3"D.
The Medium Arc Crystal Award is clear and is made of optic crystal. 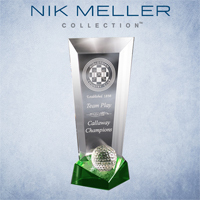 The PAR56 measures 5"W x 6"H x 1 1/2"D, weighs 4.5 pounds and is presented in a custom gift box. 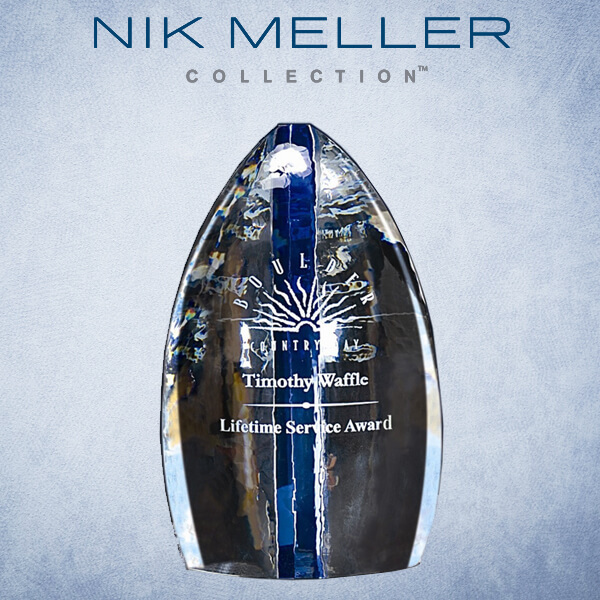 The imprint area is 4 7/8"W x 5 7/8"H.
The Medium Crystal Book Award is clear and is made of optic crystal. 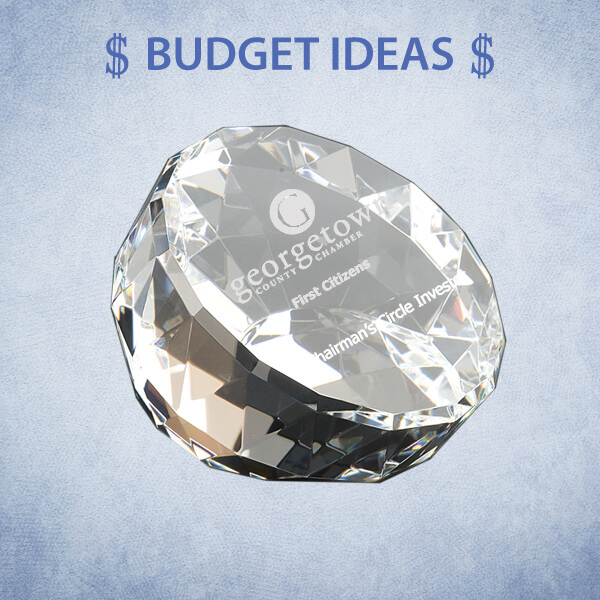 The PBK57 measures 5"W x 7"H x 1 1/2"D, weighs 4.75 pounds and is presented in a custom gift box. 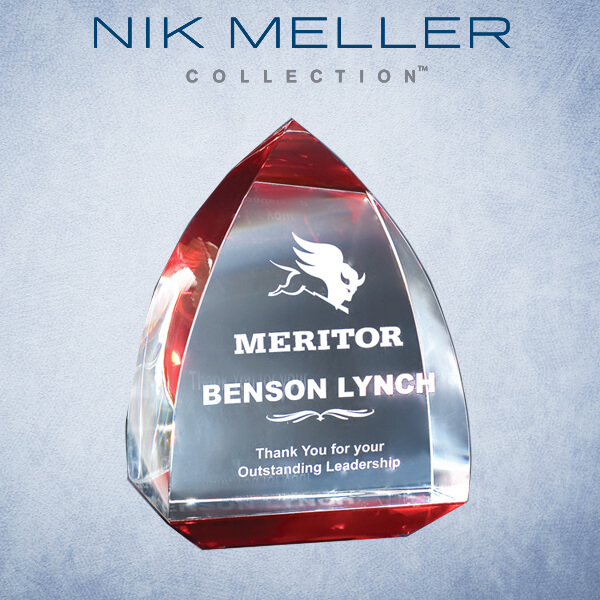 The imprint area is 4 7/8"W x 6 7/8"H.
The Medium Iceberg Crystal Award is clear and is made of optic crystal. The PIB75 measures 7"W x 5"H x 1 1/4"D, weighs 2.75 pounds and is presented in a custom gift box. 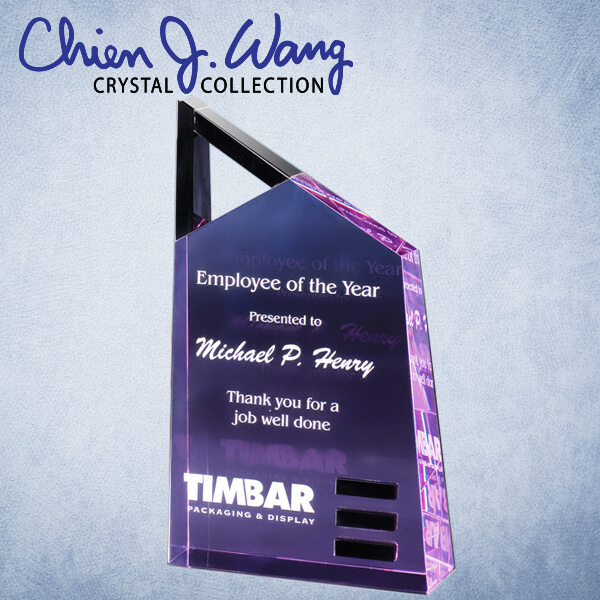 The imprint area is 6 7/8"W x 4 7/8"H.
The Medium Rectangle Crystal Block Award is clear and is made of optic crystal. The PCB57 measures 5"W x 7"H x 1 1/2"D, weighs 4.75 pounds and is presented in a custom gift box. 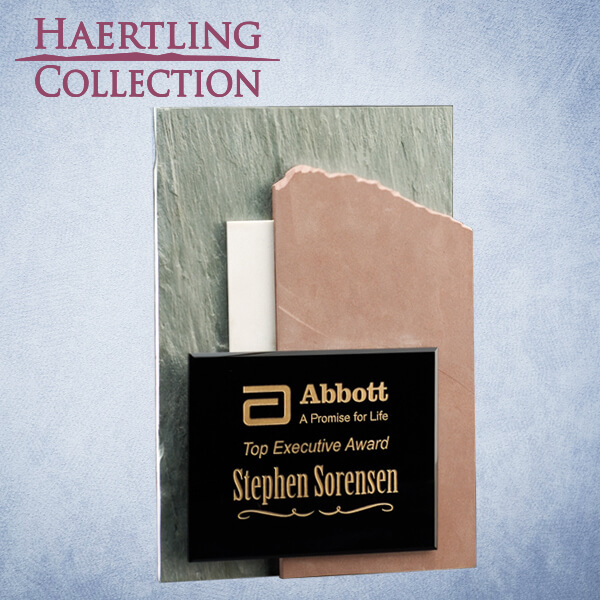 The imprint area is 4 7/8"W x 6 7/8"H.
The Small Crystal Book Award is clear and is made of optic crystal. 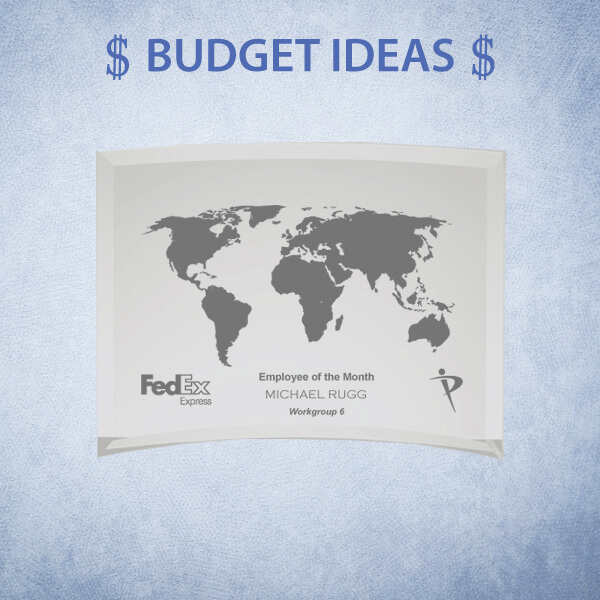 The PBK46 measures 4"W x 6"H x 1 1/4"D, weighs 3 pounds and is presented in a custom gift box. 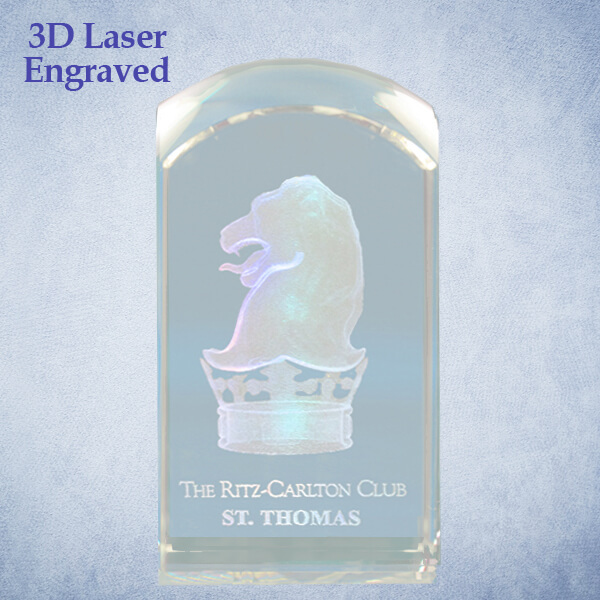 The imprint area is 3 7/8"W x 5 7/8"H.
The Small Iceberg Crystal Award is clear and is made of optic crystal. The PIB45 measures 4"W x 5"H x 3/4"D, weighs 1.5 pounds and is presented in a custom gift box. 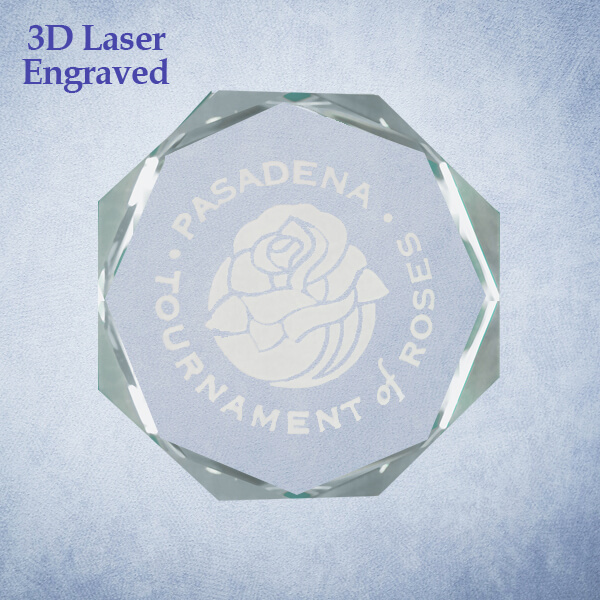 The imprint area is 3 7/8"W x 4 7/8"H.
The Small Rectangle Crystal Block Award is clear and is made of optic crystal. The PCB46 measures 4"W x 6"H x 1 1/4"D, weighs 3 pounds and is presented in a custom gift box. 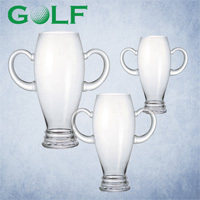 The imprint area is 3 7/8"W x 5 7/8"H.